If you grabbed the Pixel 2 XL’s June security patch yesterday and have noticed that your phone might be waking a bit slower than usual, you are not alone. A reader pointed us to an Issue Tracker thread that was started yesterday evening related to just that, and Google is already looking into it after numerous 2 XL owners experienced similar slowness. What’s happening is an extra second or two pause from the time you place your finger on the fingerprint reader of your Pixel 2 XL or press the power button to wake it. I know that doesn’t sound major, but when you are used to an immediate reaction from your phone when you try to wake it and it now takes a second or two, that’s something you would notice. You should be able to reproduce this by locking your 2 XL and then immediately trying to wake it again with your power button or fingerprint reader. Again, Google hasn’t necessarily acknowledged the issue, but has passed along feedback to the development team that would be in charge of it. UPDATE: A number of people have pointed out this commit that may be to blame for the delay. 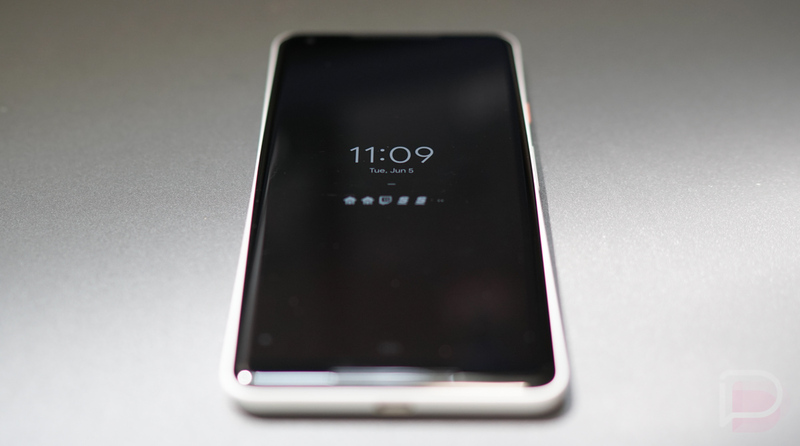 I’m not about to act like I can fully grasp everything that LG and Google did there, but my understanding is that there was a blinking issue with the always-on display of the Pixel 2 XL and that it went away with a wake delay. So, they added a delay from 52ms to 102 ms. We’ll let Google respond to see if they plan to change anything or if this is our future. UPDATE JUNE 12: Google says that they have identified a fix for this issue and will roll it out in the “coming weeks.” For now, they suggest using always-on display to work around the slowness.